Apps: Mobile, Web or Hybrid? Foglight APM SaaS Edition delivers power and simplicity at your fingertips. With an SDK for instrumenting native mobile apps, you'll capture every API call, every time. Plus, analytics-driven diagnostics from a big data repository allow you to transform data into actionable workflows that immediately lead you to probable root causes. You'll also be able to use graphical queries and visual filters to mine raw, discrete data to find outliers and trends that averages and aggregates cannot reveal. 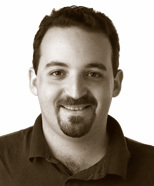 Max is founder of ITMaster Professional Training and has authored books including "Programming the Mobile Web" and "jQuery Mobile: Up and Running." Max operates a blog at www.mobilexweb.com and maintains the website www.mobilehtml5.org. He is a frequent speaker at QCon, OSCON, Breaking Development, Velocity Conference, Fluent, Google Developer Day, Nokia Developer Days, Campus Party Europe and other prominent conferences. Max has received the "Nokia Developer Champion" award every year since 2006, as well as the title of "Adobe Community Champion" in 2011 and recognition from Google. 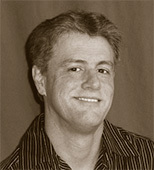 Steve is Product Manager for Dell Foglight, with a specific focus on end-user monitoring, mobile, and analytics. Steve has more than 20 years of industry experience across aerospace, telecommunications, search, natural language and intelligent monitoring technology spaces. He has held positions as a software engineer, system consultant, entrepreneur and product manager. Steve holds a B.S. degree in electrical engineering from the University of Texas at Arlington.